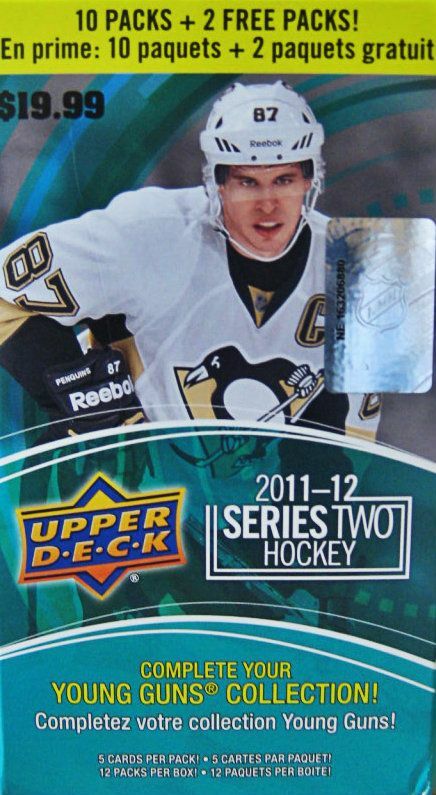 One of my first Retail Review episodes was on a blaster of 11/12 Series Two hockey. This particular series of cards doesn't have as much appeal as its first series counterpart, but collectors can still find the big name rookies from this year in the form of update cards. 2011-12 was really the year of the Nuge. He was really on fire that year, and collectors were scrambling to get his cards. Series One held his coveted Young Gun card, but Series Two still had a variety of Nuge updated rookies from sets like MVP and OPC. The Nuge and other rookies from 11/12 have really cooled as the years have gone on, and you can see the cooling from the price of products that were produced in that year. This blaster used to be twenty dollars, but online you can find them for less than nine! There really isn't to much to go for here, but you never know... something good can come out of just about anything with the right amount of luck! Definitely nothing too crazy came from this blaster. In fact, it was a bit disappointing that most of my updated cards were just base updates rather than rookies. All-in-all there were two base Victory cards, an MVP base, and an OPC base. 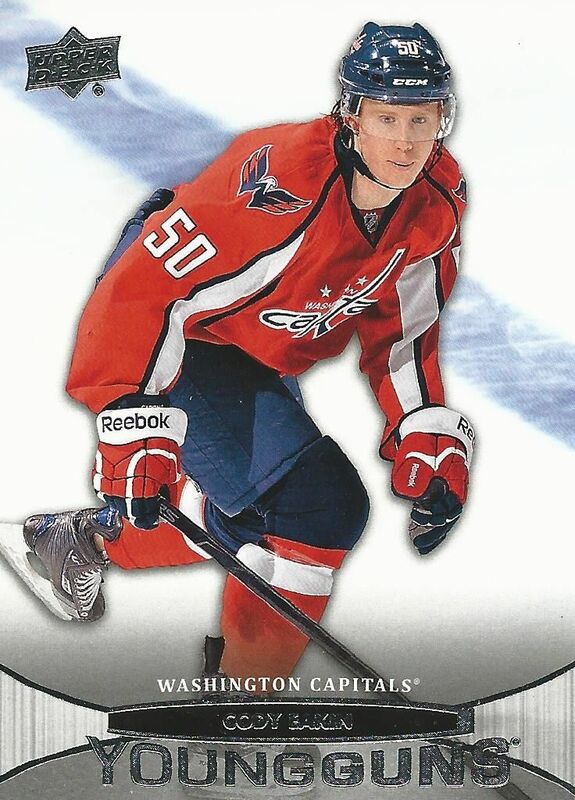 My only other rookie card besides the two that come per blaster was a Victory rookie of Tim Erixon. 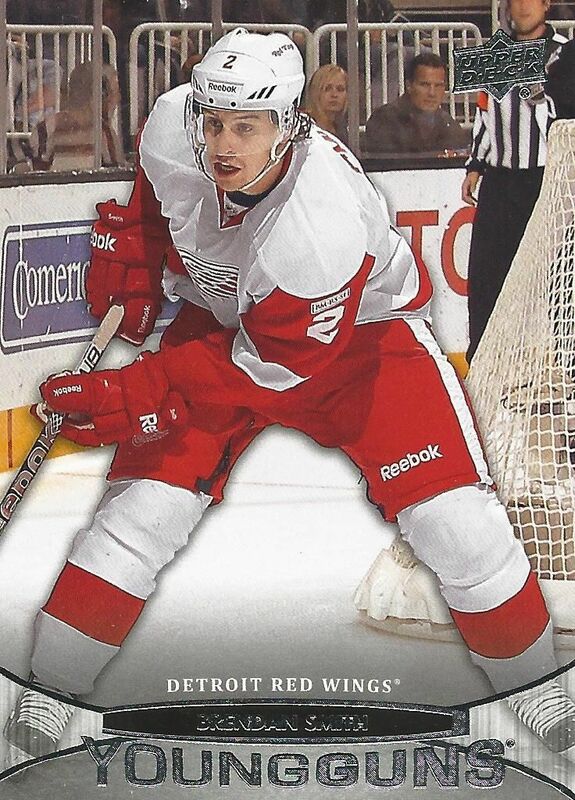 As for as inserts and parallels, the only thing that came out was a canvas card of Nikolai Kulemin. I've been really hoping to get Young Gun or other short printed canvas cards, but alas... it wasn't to be. I have seen many collectors pull short printed Canvas out of retail though. I just want it to be me next time! 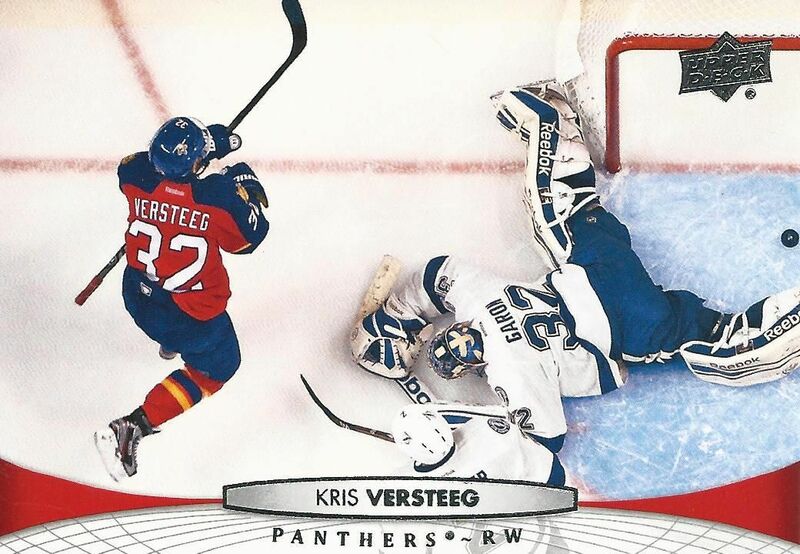 This base card definitely stood out to me as I was going through the cards in the blaster. This is one of those photos that make you stop and look at before moving on. It's just a great looking card! The Young Guns in 11/12 didn't really stand out too much in terms of performance or design, but it is still always nice to get the Young Guns you are expecting in a blaster. Eakin isn't a household name by any stretch, but he is a player that has lasted in the league. That's better than many others who have had very short NHL careers. For under nine dollars I think it's ok to give one of these blasters a try. Sure, chances are you won't get anything of value, but this set is still nice to look through and enjoy - especially the photos here. Hey, if you do end up getting something good, that's a pretty nice bonus! Let me know what you thought of my 11/12 Upper Deck Series 2 blaster box down in the comments below. Have you ever gotten anything good from a Series 2 blaster? I'd love to know!